LAURIER, Sir WILFRID (baptized Henry-Charles-Wilfrid), lawyer, newspaperman, and politician; b. 20 Nov. 1841 in the parish of Saint-Lin (Laurentides), Lower Canada, son of Carolus Laurier and Marcelle Martineau; m. 13 May 1868 Zoé Lafontaine in Montreal; they had no children; d. 17 Feb. 1919 in Ottawa. According to some sources, Wilfrid Laurier’s ancestor François Cottineau, dit Champlaurier, a native of Saint-Claud, France, came to New France with the Régiment de Carignan-Salières. He took up farming and on 7 Jan. 1677 in Montreal married Madeleine Millots. Thus began the long line of Lauriers in North America. Sometime around the spring of 1834 Wilfrid’s father, Carolus, a sixth-generation Laurier, moved to Saint-Lin, which was a predominantly agricultural parish with a population of about 2,000, largely French Canadian but including a handful of British immigrants. A farmer and surveyor, Carolus was bilingual, literate, and dynamic, and he quickly grasped the possibilities for socio-economic mobility in that part of the country. Inspired by his father, Charles, a surveyor whose hobbies were astronomy, philosophy, and mathematics, he set his sights high in his community despite his very modest income. Charles lived with the family from 1840 and, full of the scientist’s fervour, went around the parish showing some of his inventions. 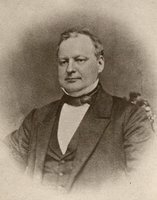 Carolus was a natural leader who held several important offices and in 1855 became the first mayor of the municipality. Above all, he and his father were interested in politics, especially the policies of Louis-Joseph Papineau*’s Patriote party, which they had defended at home among friends and in their correspondence. At the time of Wilfrid’s birth on 20 Nov. 1841, the two men were fulminating against the recent union of Lower and Upper Canada. To a family still grieving over the loss in 1839 of the first-born, Marie-Honorine, the arrival of this second child brought healing. Laurier began elementary schooling on 5 Sept. 1847, not long before his beloved mother died of tuberculosis on 7 March 1848. In September 1852, when he was not yet 11, his father removed him from the school in Saint-Lin and sent him to one in New Glasgow, a few miles from his home, where the English language and British customs prevailed. Here Wilfrid became immersed in a culture that would always have a place in his heart, and he soon learned English, which he would speak with a slight Scottish accent. In 1854 Carolus took him to the Collège de L’Assomption to begin his classical education. There Wilfrid discovered a rigid universe run by priests who made the Roman Catholic religion both a program of studies and a rule of life. The teachers glorified ultramontanism and denounced liberalism. Although he occasionally skipped classes to go and hear Rouge speakers talk about politics, Wilfrid did well at L’Assomption. In 1859, for instance, he won prizes in seven of his eleven subjects. He had already developed a passion for politics and had pinned his hopes on liberalism. In 1861 his long years at the college came to an end. He would never forget its oppressive, conservative atmosphere – or the taste for literature he had cultivated there. He decided to study law, a natural choice, given his interest in the field, his personality, and the eloquence he had displayed at school. In September 1861 Laurier enrolled at McGill College. The Montreal milieu and the English establishment had a permanent influence on his future. At the home of Dr Séraphin Gauthier, where he was boarding, he met Zoé Lafontaine, who was to be his wife. A piano teacher of modest means, she too was a boarder there. It was also during his student years that he discovered, to his horror, the gravity of an illness which was sapping his energy. His frequent coughing spells and blood-stained handkerchiefs convinced him he had tuberculosis, a malady of unhappy memory for the Laurier family. In 1862–63 his condition frequently confined him to bed and brought him to the brink of depression. Only later, while living in the Bois-Francs region, would he learn he was suffering from chronic bronchitis, a “germ of death” which would be with him for the rest of his life. 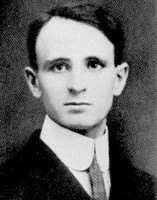 During his time at university as well, Laurier established lasting ties with Rouge activists in Montreal. Second in his class of 11 students in his first year, and tied for second at the end of his third year, he soon attracted the attention of one of his professors, Toussaint-Antoine-Rodolphe Laflamme*, who was a radical Rouge. Laflamme took him into his law office as an articled clerk. 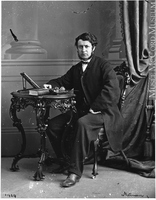 On 2 Oct. 1862 he also introduced Laurier to the Institut Canadien, a literary society and centre of Rouge activity in Montreal, of which he was an influential member. Laurier fitted in so well that he served as first vice-president from May 1864 until the fall of 1866. In the society Laurier rubbed shoulders with Joseph* and Gonzalve* Doutre, Louis-Antoine Dessaulles*, Médéric Lanctot*, and Antoine-Aimé Dorion*. He worked with them, in vain, to smooth out the problems that it was experiencing with Bishop Ignace Bourget* of Montreal, who fiercely opposed liberalism and the Rouge party. Laurier would never forget his skirmishes with Bourget. On 3 Oct. 1864, shortly before his 23rd birthday, Laurier passed the law examinations set by the Lower Canadian board of examiners. This son of an ordinary surveyor, who had finally achieved professional status, cut a striking, even astonishing figure. Slim and more than six feet tall, he took meticulous care of his wavy, chestnut hair, which threatened to spill over his broad forehead. He was genuinely handsome. He had the face of a thinker and artist, marked with a certain nobility, but his pale complexion and gentle, delicate features gave a disquieting impression of fragility. His good looks never matured and left him and others somewhat anxious about his health. None of his friends had any doubts as to the man’s calibre, however. Intelligent and ambitious, although easygoing and a bit of a daydreamer and romantic, he cultivated benevolence and affability. He was capable of disarming frankness and admirable loyalty to his friends, and he defended his convictions stubbornly, with implacable logic, while showing great tolerance of different opinions. His calm, reserved, almost timid appearance concealed his capacity for leadership. A realist who liked to take men and things as they were and who may already have lost his religious faith, he feared two things: the swift flight of time, and death. They were recurring causes of anguish to the young lawyer. At heart he was an intellectual with little inclination to physical exercise but a passion for political action. Laurier practised law initially in Montreal but experienced periods of difficulty there. His first office, which he opened in partnership with Pierre-Amable-Oscar Archambault on 27 Oct. 1864, closed within a month; his second, established with Archambault and Henri-Lesieur Désaulniers, had to shut down after only three months for lack of clients. On 11 March 1865 Laurier was alone and penniless. Médéric Lanctot, who was busily attacking the proposed confederation of British North America in his newspaper L’Union nationale (Montréal), rescued him from this abyss; on 14 March Lanctot and Laurier announced their partnership. In their law firm Laurier did the work of two men and was highly regarded by Lanctot, who saw him as “a man of the future,” according to the poet Louis Fréchette*. But Laurier’s health, which was still frail, soon thwarted these high hopes. At the end of October 1866 the cruel illness required drastic treatment that was made possible by a combination of circumstances within which politics played a key role. Laurier had, in fact, been involved in politics ever since he finished university. In August 1864 he had joined with the Liberals of Lower Canada, both radicals and moderates, in denouncing the proposed confederation. They argued that it would give too many powers to the central government and lead to the annihilation of the French Canadians, who should at least be consulted. He took part in a study group that published a devastating critique of the scheme, he spoke at several public meetings, and he wrote articles for L’Union nationale. It was all in vain. On 10 March 1865 the Legislative Assembly of the Province of Canada approved the plan by 91 votes to 33. 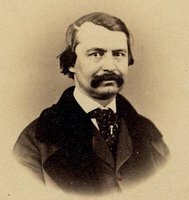 In November 1866 Antoine-Aimé Dorion invited him to replace his recently deceased brother Jean-Baptiste-Eric Dorion* as editor of Le Défricheur in L’Avenir. There Laurier would find the opportunity to pursue both his struggle against confederation and the drastic treatment – fresh country air – essential for his bronchitis. He left Montreal for L’Avenir on 18 November, but it was in Victoriaville, where he published Le Défricheur from 1 Jan. 1867, that he wrote his finest articles opposing both the union of 1841 and confederation. On 7 March 1867, when the plan was under discussion in London, Laurier wrote scathingly: “Confederation is the second stage on the road to ‘anglification’ mapped out by Lord Durham [Lambton*]. . . . We are being handed over to the English majority. . . . [We must] use whatever influence we have left to demand and obtain a free and separate government.” Rouge and separatist, this was the position taken by the man who some 30 years later would lead the country whose creation he was now trying so hard to prevent. On 21 March, however, Le Défricheur had to shut down, a victim of the editor’s illness, its heavy financial problems, and the opposition of the local ultramontane clergy, who labelled Laurier a liberal revolutionary. On 1 July confederation was officially proclaimed. At the age of 25 Wilfrid Laurier suddenly had to reorganize his life. Once the shock of these set-backs had subsided and his health had improved, Laurier accepted the challenge without delay. He decided to settle permanently in the Bois-Francs region, at Arthabaskaville (Arthabaska) where he took up residence in mid September 1867. The administrative and judicial seat of the county, Arthabaskaville, with its storybook landscape, had a population of about 730, of whom 96 per cent were French-speaking. Laurier would have a large house built there in 1876–77 at a cost of $3,000 and established firm connections with Liberals and artists. He became so well integrated into local society that he was elected alderman, mayor, and, in 1881, county warden. He looked after the affairs of the parish community and church on a regular basis. In 1897 his political responsibilities made it necessary for him to move to Ottawa, but, as his correspondence shows, he would never forget the charm and tranquillity of Arthabaskaville, to which he would return at Christmas and during seasonal holidays. After he had established residence, Laurier’s next move was to take a wife. On 13 May 1868 he married Zoé Lafontaine in the cathedral of Saint-Jacques in Montreal. He had always refused to ask for her hand on the grounds that he was too ill and poor, but when Dr Gauthier told him she was about to marry another suitor even though she still loved him, he hurried off to Montreal. That very evening, without Carolus or any of his family being present, he was married, and he then immediately returned alone to Arthabaskaville, where an urgent case awaited him. No children would ever be born to him and Zoé, a fact he deeply regretted. On the whole it was a happy marriage, though not always. There was Laurier’s passionate attachment to Émilie Barthe*, the wife of his law partner Joseph Lavergne. In 1874 he became infatuated with this brilliant and highly cultured woman, who shared his literary tastes and his interest in things English. Their romantic liaison was the most famous in Canadian political history. Their letters bear witness to a genuine love, but was it platonic? No one knows for certain. It was rumoured at the time, though never confirmed, that Armand La Vergne* was their son. Their involvement apparently lasted until about 1897, when political necessity took precedence. Wilfrid and Zoé resumed their close relationship and remained devoted to each other for the rest of their lives. 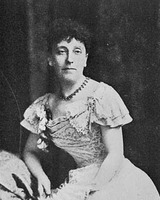 Zoé outlived her husband and died in Ottawa on 1 Nov. 1921. In the summer of 1867 Laurier had also reorganized his professional life. 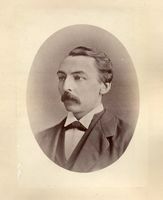 He opened his law office in Arthabaskaville, where he would practise for 30 years with four different partners: Eugène Crépeau (1867–69), Édouard Richard* (1869–74), Joseph Lavergne (1874–97), and Philippe-Hypolite Côté, who joined the firm in 1889. His practice concentrated mainly on general law and never had the advantage of any famous cases. Peers recognized his competence by electing him to the council of the Arthabaska bar in 1888 and making him bâtonnier of the district in 1889. Undoubtedly the star of his firm, Laurier to his great regret gradually had to reduce his share of the day-to-day work because of ever-increasing political obligations. The practice of law did not make him wealthy or enable him to accumulate the money he needed for his growing responsibilities within the Liberal party. He found this situation trying and complained about it regularly. The financial security Laurier wanted so badly would become his after the election of 23 June 1896, which brought him to power in Ottawa. The next day William Mulock*, the mp for York North in Ontario, asked his authorization to raise a fund of $50,000 to $100,000 to keep him free of financial worries for the rest of his life. Laurier accepted, just as in 1897 he would accept the Liberal party’s offer of a luxurious home in Ottawa. He closed his law office in Arthabaskaville and appointed his partner Joseph Lavergne to the bench. This ideal situation did not mean, however, that he made no investments after 1896. Although he claimed not to have any skill in financial matters, he had in the past attempted to put his money to work. Along with others, he set up the Syndicat Agricole d’Arthabaskaville in 1880 to produce beet sugar. In 1889 he and four partners founded the Compagnie Minière Laurier to “carry on mining business and operations in the counties of Arthabaska, Mégantic, and Wolfe.” After 1896 he accepted several company directorships without much hesitation, but for the most part he simply invested his money, as he did in the Canada Cement Company near the end of his life. At his death he was worth at least $25,000, in addition to his life insurance policies, movable property, and real estate. 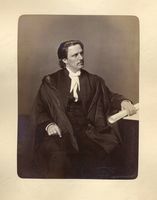 From the summer of 1867 Laurier’s personal and professional life had grown increasingly secure, but he had one more dream – to enter politics. On 1 Aug. 1867 he confided to Zoé, “I am actively involved in election work. . . . Now they want me to be a candidate and I will not refuse. I might as well work for myself as for others.” Most provincial Liberals belonged to the Reform Association of Lower Canada, an organization formed that year to encourage their divided forces and sketch out a program which would bring them together. 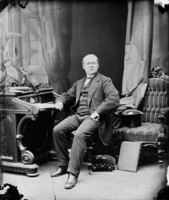 In the end, probably to avoid deepening rifts among them, Laurier decided not to run in the general election of late August and early September 1867; the first contest held since confederation, it was to choose members for the Quebec Legislative Assembly and the Canadian House of Commons. Like the Rouge and Liberal he had always claimed to be, he fought to the end in the party struggles that brought his Liberal-Conservative opponents to power in Canada and in Quebec. Before making his official entry into public life, Laurier had to settle two prerequisites for his future success. First he had to make up his mind whether he would accept once and for all the confederation he had but recently been denouncing. Having taken a step in that direction in the summer of 1867, he opted for the affirmative. Like his leader Antoine-Aimé Dorion and many other Liberals, he chose to recognize the fait accompli and work within the new Canada to make it less disastrous for French Canadians. Second, he had to decide whether he would continue adhering to the Rouge philosophy articulated by the now nearly defunct Institut Canadien, whose popular support was dwindling. This time he answered in the negative. Radical liberalism was for him a thing of the past to be replaced by moderate liberalism of the classic British Whig type, which respected the popular will and was, he hoped, less threatening to the Roman Catholic clergy. From then on Laurier could think of nothing but the day when he would be elected to the provincial legislature. This day came in the summer of 1871, a crucial year that marked the turning-point in his life. From 28 May Laurier conducted an intense campaign for the riding of Drummond and Arthabaska. He had nothing in his favour but his own fiery spirit, his network of Liberal friends, and his budding prestige; there was scant support from the Liberal party of Henri-Gustave Joly*, which was merely a coalition of small regional groups, with no organization or program. To the local Catholic clergy, who called him a Rouge and a revolutionary obsessed with liberty, Laurier responded with a balanced platform addressing the current major election issues. It touched on education, colonization, and agriculture, for which funding had to be increased, on the abolition of the Legislative Council, and on industrial development, the cure for the scourge of emigration. On the evening of 11 July his 750-vote majority took some of the sting out of the provincial Liberals’ defeat. During the two and a half years he laboured in the Quebec legislature, Laurier nevertheless usually behaved as if he were still a university freshman, watching, listening, learning, and conforming (not always cheerfully) to the demands of parliamentary life which, as his letters to Zoé show, he did not really like. One of the youngest assemblymen, Laurier was not the opposition’s star performer. In fact, he took an active part only in the first session, in November and December 1871, but he did good work then. In his maiden speech, on 9 November on the address in reply to the speech from the throne, he stated with the conviction of a prophet that the province’s “true progress” and “true prosperity,” along with the promotion of political reforms, were the cornerstones of his involvement in public life, and that they required industry and the immigration of workers and skilled artisans. On 22 November Laurier attacked the double mandate, which allowed members to represent federal and provincial ridings simultaneously and which in 1871 enabled no fewer than 17 mlas to hold seats in Ottawa as well as at Quebec. His terse comments stood out in the debate. “With the single mandate, Quebec is Quebec; with the double mandate, it is no more than an appendage of Ottawa.” The speech was well organized and quite meaty, setting out in clear terms the doctrine of provincial autonomy, which was central to the problem. Many people felt that a formidable orator had made his mark, yet except for rare occasions Laurier made no further appearances. Perhaps he was too disappointed with the milieu. Perhaps he succumbed to boredom or was too busy with his law practice. One thing is certain: he was distressed by the lamentable state of his party. The Liberal party was indeed in a sorry condition. With no real program and no extra-parliamentary organization, it was still bearing the heavy burden of its radical past. Like other members, Laurier realized the time had come for serious thinking and dramatic action. The future lay in a renewal of Liberal thought and in a dynamic party that would bring together both Liberals and Conservatives who were eager to seize the reins of power and put principles ahead of selfish interests. From the time he entered politics, the member for Drummond and Arthabaska devoted himself to this endeavour. Initially Laurier chose to wield the pen. 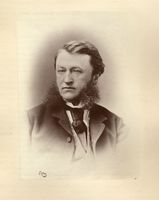 In December 1871 he reaffirmed in an Arthabaskaville newspaper what he had maintained during the previous election campaign: “The Liberals of 1871 cannot be the same, in terms of men or principles, as they were in 1848, a time of liberal renaissance.” That month he moved into action, joining with other young men such as Louis-Amable Jetté, Frédéric-Ligori Béïque*, and Honoré Mercier* to found the Parti National, which was born of the desire to make a fresh start. Though hesitant at first, veteran Liberals rallied to it. Focused on reform and autonomy, it sought to become a meeting ground for moderates in the province who were capable of “putting the national interest” ahead of everything else. Older supporters soon realized that, as Le Canadien pointed out, the Parti National was “the Liberal party reorganizing itself, rejuvenating its 1847 program.” In this Liberal resurgence, Laurier undeniably played a role. He was, in fact, one of the main forces behind it. The results of the federal election in the summer of 1872 did not, however, measure up to the hopes of the youthful members. Sir John A. Macdonald*, though greatly weakened, was returned to power in Ottawa and the Liberal party gradually absorbed the Parti National. Nevertheless, Laurier and the other young men had given their original party an impetus it could not entirely overlook. In the fall of 1873 fate intervened on Laurier’s behalf. 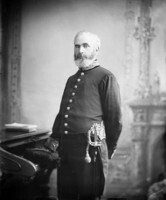 The Macdonald government, rudely shaken by the Pacific Scandal, resigned on 5 November and was replaced by the Liberals under Alexander Mackenzie*. In the ensuing election at the end of January and the beginning of February 1874, Laurier seized his opportunity. He gave up his provincial seat and ran in Drummond and Arthabaska. His campaign was short – only 27 days – as was his platform, which was simply a denunciation of Conservative corruption. There was no room this time for learned definitions of political liberalism. Victory was the only aim. It came for Laurier and the Liberals on 29 January. That evening Liberal party workers of Drummond and Arthabaska took their new mp from parish to parish in a long parade. The 32-year-old Laurier thrilled with joy. 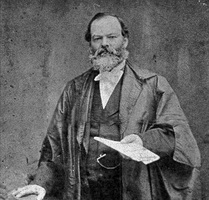 When he entered the House of Commons on 26 March 1874, he must have felt quite humble in the vast chamber occupied by 205 other mps; some of them, both among his opponents led by Macdonald and among his political friends such as Mackenzie, Antoine-Aimé Dorion, Luther Hamilton Holton*, Edward Blake, and Richard John Cartwright, were impressive figures. He had to begin, of course, by emerging from his semi-anonymity and earning his stripes one by one if he wanted to gain recognition in the Canada which was still to be built but whose foundations were as yet fragile, indeed contested. Laurier devoted the first phase of his parliamentary career, from 1874 to 1878, to the task of carving out a place for himself. To win the attention of his colleagues, he relied on his eloquence. 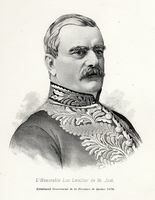 He attracted notice as early as 30 March 1874 when he spoke in support of the address in reply to the speech from the throne. In French, he made a threefold profession of faith – in his country, in his party, whose liberalism he immediately identified with liberalism as practised in England, and in his government. His speech was an instant success. He took the floor again on 15 April on the question of an amnesty for Louis Riel*, the new Métis mp for Provencher, Man. 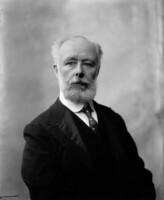 In flights of oratory in English, he opposed Riel’s expulsion from the commons, even though he felt no sympathy for the man, as he later noted to his fellow mp James Young on 16 September. Like other Quebec Liberals, he simply used the issue to weaken the Conservatives still further. In the commons on 15 April, however, his speech was all greatness of soul and beauty of expression. On 12 Feb. 1875 he returned to the Riel fray in support of a government proposal to amnesty everyone involved in the Manitoba troubles except the Métis leader and two others. Here again, Laurier struck a chord that was deeply moving. But he also used the occasion to explain the basis of his stand on all political questions. Avoiding both extremes, he shared the opinion of “moderate men” who, he was sure, “would seek a medium course for justice and truth.” Increasingly, until 1877, his performance in the house revealed him in public as a centrist and a lucid, unusually able politician who had the parliamentary community in the palm of his hand. There was more to be done, however. He had to make a name for himself within the Liberal organization, to become the Quebec solution to the problems faced both by the party as it evolved and by the government it had formed in Ottawa. Over time the Mackenzie administration lost much of its vigour, getting mired in the economic depression and in short-sighted policies. Moreover, Quebec was not adequately represented in the cabinet after Antoine-Aimé Dorion’s resignation in May 1874. To make the situation even more intolerable, the ultramontane wing of the Catholic clergy gradually resumed its activity, further obscuring the distinction between doctrinaire and moderate liberals and interfering improperly in elections. And so Laurier began again, this time resolutely and seriously, the lengthy process of winning Quebec for the Liberals. 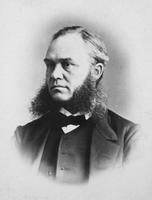 In 1875, for example, he took an active part in the provincial election. 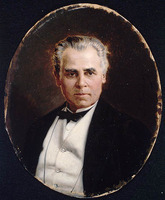 On 6 June at Sainte-Croix in the county of Lotbinière, he confronted a supremely confident Joseph-Adolphe Chapleau*, the rising star of the Conservatives, and delivered a message indicative of what was to come. “When the Conservative party wraps itself in the mantle of religion, that is nothing but a mask. . . . We, on the other hand, are liberals in the English tradition.” Most important was the powerful address on political liberalism he delivered at Quebec on 26 June 1877. It was a historic moment. Laurier could have destroyed his career at this point. His leaders even tried to dissuade him from speaking, for Bishop George Conroy*, the apostolic delegate, was conducting an inquiry in order to make a ruling on the politico-religious conflict between the Catholic Church and the Liberals in Quebec. But Laurier set aside this deceptive caution, which had led to the existing problems. He recognized, of course, that he should not provoke Conroy, but he also knew the time had come to explain his party’s liberalism as clearly as possible. His approach was pragmatic, his ambition partisan in that he wanted to help create a modern party system and a modern form of government where the Liberal party would occupy its rightful place on the political chessboard of the province. He spoke brilliantly, sometimes with passion but more often with logic, occasionally resorting to easy eloquence. No, he assured some 2,000 listeners, “Liberal Catholicism is not political liberalism.” No, the Liberal party is not “a party composed of men holding perverse doctrines, with a dangerous tendency, and knowingly and deliberately progressing towards revolution.” No, there is no “moral difference” between Liberals and Conservatives. To make his own position clear, he defined his liberalism: “I am one of those who believe that in all human affairs there are abuses to reform, new horizons to discover and new forces to develop.” One country – England – had put these principles into practice. The Liberal party there had “carried out a series of reforms which have made the English the freest of peoples, the most prosperous and the happiest in Europe.” Then, as a democrat aware that respect for individuals and their choices and for the separation of church and state was necessary, he laid down, though in moderate terms, the proper role of the clergy in politics. Their “right of intervening . . . ends when trespassing on the rights of the elector. . . . It is . . . perfectly permissible to change the opinion of an elector by reasoning and all other means of persuasion, but never by intimidation.” He concluded: “The policy of the Liberal party is to protect [our] institutions, to defend them and spread them, and, under the sway of those institutions, to develop the country’s latent resources. That is the policy of the Liberal party and it has no other.” Laurier had expressed ideas that would satisfy Bishop Conroy in powerful words which he would repeat through the best years of his political career. It was a triumph for Laurier. Overnight he became a national figure, but even more, he became the leader the Quebec Liberals had awaited. Prime Minister Mackenzie understood this impact and on 8 Oct. 1877 made him minister of inland revenue. Henceforth Laurier would have a seat in the inner circle of Canadian politics and be considered, moreover, the true successor to Dorion and “the real leader of the Liberals in Lower Canada.” He remained a minister only a year and a day, however. It was to be a rather turbulent and stressful year. The first hurdle was his re-election in Drummond and Arthabaska, as custom dictated. The relentless battle waged against him by the Conservatives brought about his defeat on 27 October. He then ran in Quebec East where, regarding himself as “the last card of the party in this province,” he encountered the same difficult struggle and the same abuse from the Conservatives. Nevertheless, the Liberals were better organized and gave him enough support that on 28 Nov. 1877 he won by 315 votes. From that day until his death in 1919, Laurier would forge such solid links with Quebec East that it would never desert him. But the joy of victory would soon fade. The parliamentary session of the winter and spring of 1878 brought him back to harsh reality. The Mackenzie government could not muster the energy to give adequate leadership to the country and Laurier suffered a recurrence of his illness, which several times kept him confined to bed. He still made some fine speeches in the house and appropriately defended his work and the administration of his department, but that was all. He was more spirited during the campaign leading up to the federal election of 17 Sept. 1878. In full control of his party’s Quebec wing, Laurier made every effort, but to no avail. The Liberals lost by 78 seats to the Conservatives and their National Policy. Although he himself was re-elected, Laurier had not been able to prevent his opponents from winning a majority of 29 seats in Quebec. At the age of 36 he was once more an ordinary mp in a shrunken group of 64 Liberals, only 18 of whom were from his province. Now began the difficult years from 1878 to 1884. Disillusioned and discouraged, Laurier often gave the impression of having lost interest in politics and in his own party, which suffered one set-back after another. Certainly he had some successes and occasionally attracted attention, for example when he pointedly called on Mackenzie to resign in 1880, and when that year he and others founded the Quebec newspaper L’Électeur to bolster the Liberal rank and file [see Ernest Pacaud*]. 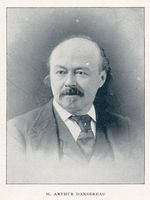 He published his famous article “La caverne des 40 voleurs” in L’Électeur on 20 April 1881, which touched off a sensational lawsuit by referring to Louis-Adélard Senécal*, a Conservative and a close friend of Chapleau, as a swindler and accusing him of trying to rob the province. There were also his contributions to the work of the house. He seldom expressed new ideas, however. He defended the moderate protective tariff, provincial autonomy, and Canada’s ties to the British crown. 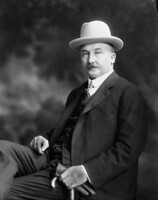 Opposing the Conservative policy of aiding the Canadian Pacific Railway, he supported the theory of laissez-faire and of a reduced role for the state in economic matters. In a word, there was nothing overly impressive, certainly not to journalist John Wesley Dafoe*, who saw Laurier at work during the 1884 session and drew this unflattering portrait: “Laurier’s political activities consisted chiefly of being an acting secretary of sorts to the Liberal leader [Blake]. He kept his references in order; handed him Hansards and blue-books in turn; summoned the pages to clear away the impedimenta and to keep the glass of water replenished. . . . There were memories in the house of Laurier’s eloquence; but memories only.” Such was the level to which Laurier’s public image had sunk by 1884. His only real interests seemed to be the peace and quiet of Arthabaskaville, where he could read to his heart’s content, his law practice, his friends, and, of course, Émilie Lavergne. Suddenly, in 1885, Laurier’s career entered another spectacular and dazzling phase. Once more unexpected events bore him into prominence. 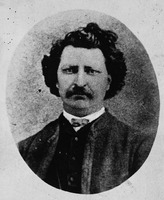 The key factor was the North-West rebellion led by Louis Riel, which threw the whole country into turmoil. 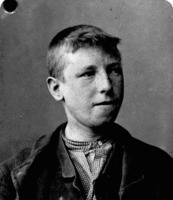 Riel surrendered in May, went on trial in July, was sentenced to death in August, and was hanged on 16 November. These events aroused powerful emotions; Ontarians, haunted by the ghost of Thomas Scott*, felt he had to be avenged, and French Canadians were indignant to the depths of their souls. The trial and hanging, the whole attack on the Métis leader, heaped scorn on their ancestry and their French Canadian culture. Motivated equally by sincerity and by the hope of weakening the Conservatives as much as possible, Laurier returned to the political struggle. 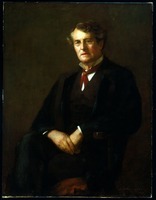 He first demonstrated his newly regained aggressiveness in the House of Commons on 7 July 1885, when he delivered the longest address of his parliamentary career. He spoke as the active leader of the Quebec Liberals. Pointing a vengeful finger at Macdonald, he accused him of contempt for the Métis and of ultimate responsibility for the rebellion. Laurier next took action outside parliament along with Honoré Mercier’s provincial team, which was better organized and more nationalist than ever. 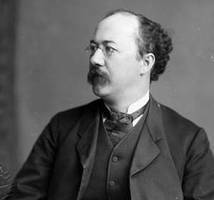 It was now ready to transform the French Canadian movement of sympathy for Riel into a true Parti National that would bring together Liberals and Conservatives furious at Macdonald and his French-speaking ministers, Chapleau, Sir Hector-Louis Langevin*, and Sir Adolphe-Philippe Caron*. In September and October 1885 Laurier spoke at no fewer than six public meetings, but the most telling at the time was his great address at the Champ-de-Mars in Montreal on 22 November, only six days after Riel had been hanged. Speaking to a crowd of nearly 50,000, he was so carried away that his words touched the collective imagination. “If [I] had been on the banks of the Saskatchewan when the rebellion broke out,” he reportedly said, “[I] would have taken up arms [myself] against the government. . . . Riel’s execution was a judicial murder. How could M. Chapleau . . . have been a party to this cold-blooded murder of a compatriot?” On that day Laurier had identified himself with the innermost sorrows of French Canadians and undoubtedly won them over. To be sure, he had not defined his nationalism, but it was unquestionably close to Mercier’s. Never since entering politics had Laurier gone so far in his remarks as on 22 November, nor would he ever do so again. The crowning moment of Laurier’s political recovery, however, was still to come. 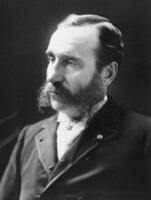 On 16 March 1886, during debate on a motion by the Conservative Philippe Landry that the house express its regret at the death of Riel, he found his first opportunity to point out the only path to be followed in the difficult process of building Canada. “We cannot make a nation of this new country by shedding blood,” he asserted, “but by extending mercy and charity for all political offences.” To charges that French Canadians were disloyal to England, he replied, “It would perhaps be best, from a utilitarian point of view, to have only one language; but . . . French is the language of our mothers, the language which recalls to our minds the most sacred associations and so long as there are French mothers the language will not die. Yet these sentiments are quite consistent with our loyalty to England.” In Toronto on 10 December he elaborated this concept of the country again, obviously with the intention of making his position clear to Ontario. He justified his actions and words of the preceding months and then, on a somewhat provocative note, went so far as to scold the crowd. “If you had been yourselves . . . on the banks of the Saskatchewan . . . what would you have done?” He unhesitatingly supported the attitude of French Canadians towards the Riel affair and openly defended their right to exist in Canada. Proclaiming his definition of the Canadian nation, he declared: “We are Canadians. Below the island of Montreal the water that comes from the north from [the] Ottawa unites with the waters that come from the western lakes. But uniting they do not mix. There they run parallel, separate, distinguishable, and yet are one stream, flowing within the same banks, the mighty St. Lawrence, and rolling on toward the sea . . . a perfect image of our nation.” Liberals in Ontario listened with surprise to this “silver-tongued” orator who had been written about in the press after his speech of 16 March. More significantly, they made the acquaintance of a politician who wanted to offer Canadians a carefully considered path which was based on moderation but could become an inspiration. On that day, 10 Dec. 1886, Laurier reached the zenith of his political ascent. When Macdonald called a general election for 22 Feb. 1887, Laurier, now out of the shadows, led the attack. He directed the campaign in Quebec with renewed confidence. Mercier, the new provincial premier, and some nationalist (and even ultramontane) Conservatives came with him as he travelled through a number of regions with the ghost of Riel blithely in tow. It was no use. On 22 February Macdonald edged back into power. Edward Blake, weakened, ill, sleepless, and with little enthusiasm for heading the party, resigned on 2 June 1887. The federal Liberals’ leadership problem was now plainly exposed. As was the custom of the time, Blake had the last word about a successor. 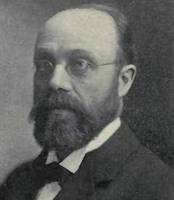 Instead of Oliver Mowat*, who was not available, or Sir Richard John Cartwright, who was unpopular with French Canadians and manufacturers, or David Mills*, who lacked nerve, he unhesitatingly picked Laurier. His choice was a surprise to the many Liberals who saw Laurier as too frail, easygoing, and flexible, or too tainted in Ontario by the Riel affair, or too threatened in Quebec by the clergy, who still remembered him as a Rouge. It was certainly a surprise to Laurier, who categorically refused. On 11 June he wrote to his friend Ernest Pacaud: “I do not want to be leader. That is not my aspiration . . . ; but there remain two objections. . . . I am not a wealthy man, and my health is poor . . . my friends are imposing too heavy a burden on me.” The clear-sighted Blake did not give up. 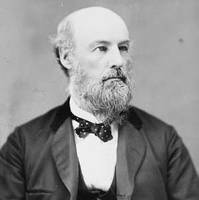 In his opinion the party needed a leader with integrity, sound judgement, and courage, one able to look at problems not from a racial or religious point of view, but strictly from the standpoint of the national interest, and one who could stir crowds, but also persuade Quebeckers to join the Liberal ranks in overwhelming numbers, an essential condition for taking power in Ottawa. On 18 June 1887 Laurier yielded to the pressure and accepted, though he made it clear that he was assuming the leadership temporarily and would relinquish it as soon as Blake had recovered his health. In fact, he believed that it would be very difficult for a French Canadian to hold such a position in a federal party. He was definitely not enthusiastic at the time, but, as his correspondence also shows, he was, at the age of 45, amply endowed with nerve, determination, and the will to succeed. Laurier would spend the next nine years of his life convincing Canadians that he was capable of guiding their destinies. Once again he found circumstances suggested a threefold strategy. First he had to provide the party with an economic policy that could reinvigorate its demoralized organization, divert Canadians from their intercultural quarrels, and defeat Macdonald’s ageing Conservatives, who were incapable of creating a climate that could halt Canadian emigration to the United States. By 14 July he had hit on such a policy: commercial union with that country. His choice was inspired by the widespread free-trade sentiment in the party, which gathered around the tireless Cartwright and was central to the continentalist thinking beloved of many Canadians. In the winter of 1888, apparently thanks to James David Edgar*, the measure, which assumed the establishment of a common tariff regime, was watered down to unrestricted reciprocity: the free movement of all products between Canada and the United States. It was then introduced in the House of Commons and defeated on 6 April, with some 20 Liberal mps abstaining. Disappointed but not crushed, Laurier retained the option. He believed the vast market of 60 million Americans was an important outlet and he refused to allow the possibility that Canadian industries might be destroyed. He also dismissed the accusation of disloyalty towards England, a country whose civilization he admired greatly but from which, he declared, the colony would have to detach itself progressively in order to become a full and complete nation. Until 1891 he did his best to resist the attack on unrestricted reciprocity, regarded by many as equivalent to commercial union, which they believed could deprive Canada of its identity. He held out against Blake and other influential Liberals, and against the members of the Imperial Federation League, who were constantly crying treason to the empire and conjuring up annexation to the United States. He even had to defend himself against the Americans, who were shutting themselves off in a policy of narrow protectionism. Despite his efforts, reciprocity did not become as effective a tool for mobilizing the rank and file as he would have liked. Nor did it do anything to calm intercultural conflicts. Canada in 1888–90 was a cauldron about to boil over. The problem was basically one of national identity. Some saw the nation as closely linked to the British empire, while others saw it as attached to the North American continent. But there was more to the conflict. A number of Protestant anglophones favoured an exclusively English-speaking and Protestant Canada. Fearing the strength and ambition of the Catholic French Canadians, which Mercier expressed so vigorously, they set out on a crusade against Canadian dualism. On the other hand, French Canadians, with the support of some anglophones, dreamed mainly of a bilingual and bicultural Canada. They too set out on a passionate crusade. The agitation was soon felt in parliament. Laurier had to intervene in order to clarify both the position of his party and his definition of the nation that was to be built. This was the second objective he had in mind, and not the least important. Laurier used the prudence called for, but above all he pinned his hopes on frankness and made a sweeping defence of respect for provincial autonomy, for the country’s two basic cultures, and for freedom. On 28 March 1889, in the name of these principles, he took a stand against the proposal that the house condemn the Jesuits’ Estates Act passed by the Mercier government. He spoke out even more strongly on 22 Jan. 1890 when D’Alton McCarthy*, a Conservative mp from Ontario, introduced a bill to abolish guarantees for the French language in the North-West Territories Act. Laurier fine-tuned a strategy based on the defence of provincial autonomy, even at the risk of sacrificing the spread of Canadian duality across the country. How could he prevent a province with an English-speaking majority from creating exclusively English and Protestant institutions? He recognized the realities, but he put his faith in the magnanimity of the majority partners. 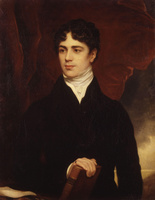 Thus on 21 February he supported an amendment moved by Sir John Sparrow David Thompson* giving the assembly of the North-West Territories the power to decide the matter for itself. It was tantamount to saying that the territories could abolish the use of French in their assembly when it suited them. The subordination of the fate of the two cultures to the principle of provincial autonomy left a number of people puzzled at the time. For their part, French Canadian nationalists would never forgive Laurier for it but, as leader of a federal party, he had concluded that he was obliged to bow to political reality. The same political realism had kept Laurier from acting when early in 1890 the Liberal government of Manitoba under Thomas Greenway* had introduced two bills, one abolishing French as an official language and the other setting up a non-denominational school system controlled and financed by the state. Among French Canadians, who by then made up only about one-tenth of the population of Manitoba, and among the province’s Roman Catholics generally, there was consternation. But in Ottawa, Laurier, who like Macdonald and many others was anxious to calm premature agitation, quickly agreed with the government decision to allow the courts to deal with this delicate matter, and he washed his hands of it. There remained his third objective. Laurier had quickly identified its importance after June 1887, since it was a matter of revitalizing and reorganizing the party. Despite his ongoing intention to give up the leadership, he worked harder than ever. He put great weight on the creation of strong provincial organizations and the establishment of close ties to the provincial parties. With Edgar in particular, he prodded the parliamentary organization committee, which raised funds, produced and distributed election pamphlets, and monitored the party newspapers such as Toronto’s Globe and Quebec’s L’Électeur. In his home province he maintained the tradition he had established in 1875–77, adroitly taking advantage of the ground Blake had gained over the years. Quebec’s conversion to the Liberal party gradually acquired an irresistible momentum. To some extent Laurier was the architect of this success, but he was also its beneficiary, reaping the fruits of his predecessor’s labours. In Ontario he managed to render himself the indispensable arbiter for a caucus split into various factions. He also made some courageous political speaking tours in that province which, although not in themselves successful, nevertheless enabled him in the long run to become the only real rallying point for the rank and file. The Liberal defeat in the general election of 5 March 1891 dampened the enthusiasm of many, even though the party had made substantial gains in Ontario, and Quebec had sent more Liberals than Conservatives to Ottawa for the first time since 1874. Macdonald had skilfully campaigned on loyalty to Canada and the empire, which he declared were being betrayed by unrestricted reciprocity, the main election issue. This defeat, Laurier’s first as head of the party, hurt him, and he was hurt even more the following day when Blake, in a direct attack on his leadership, published an open letter against his trade policy. Laurier was disillusioned, and became increasingly so in 1892, a year in which nothing seemed to go right for the Liberals. He fought off his weariness by extensive reading and writing. Sometimes he would relax by going for a walk in Ottawa. Too often, he raised the question of his resignation, an obsession constantly on the tip of his tongue, but his colleagues protested each time, especially after Blake left Canada in June 1892. Not until 1893 did a new lease on life really begin for Laurier, bringing revived hope. At this crucial stage he experienced a restored desire for action and benefited from a political situation that presented him with the opportunity of a lifetime. 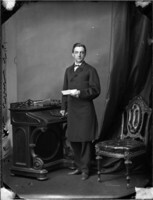 Borrowing an idea from John Stephen Willison*, the editor-in-chief of the Globe, and with the solid support of James Sutherland, the party’s chief whip, Laurier convened a great national convention in Ottawa on 20 and 21 June, attended by no fewer than 1,800 Liberals from all parts of the country except British Columbia and the North-West Territories. On the keynote of duality and under the distinguished chairmanship of Mowat, the convention brought forth a new program in which unrestricted reciprocity, watered down to satisfy Mowat and a number of other Liberals, was set in the context of developing the country’s natural resources and maintaining a customs tariff to generate revenue for Canada. The party, now officially “the Liberal party of the Dominion of Canada,” gave thought to its organization and held out to Canadian voters, and especially to protectionists and industrialists, the prospect of an increasingly credible alternative. Laurier was recognized as the undisputed, indeed indisputable, leader of all the country’s Liberals. He undertook a series of speaking tours to give more momentum to the results of the convention and show he was equal to the dream of making Canada a nation. Aware of the growing importance of the agricultural west, he visited it in September and October 1894 and offered it a threefold program: loosening the grip of the National Policy, opening the American market, and increasing immigration. He did not win the west at this time, but he did gain respect and sympathy. Laurier rose to the summit of political life as a result of one of the greatest tragedies of Canadian political history: the Manitoba school question, which resurfaced once and for all on 29 Jan. 1895. On that day the Judicial Committee of the Privy Council decided the federal government could intervene: Ottawa did have the right to remedy the injustice caused in 1890 by the Greenway government’s creation of a non-denominational school system, which was so abhorrent to the largely French-speaking Roman Catholic minority. Suddenly the ball had bounced back into the court of the federal politicians. Through all the twists and turns of this affair, Laurier never played the hero. He never issued a firm public statement, although he regularly expressed sympathy for the right of the minority to have their own schools and declared his desire to protect that right as well as he could. 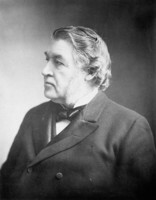 Instead, setting his sights on party unity and power, he stepped up manœuvres to embarrass the Conservatives, who were so divided they had to make the ageing Sir Charles Tupper leader of their party in order to restore a modicum of harmony. On 11 Feb. 1896 the government introduced a remedial bill aimed at restoring separate schools in Manitoba in both principle and practice. It was a courageous and generous gesture. Laurier vacillated, but held himself up as the defender of provincial rights and the symbol of hope for the minority. He moved that consideration of the measure be postponed for six months, and then went to great lengths to prolong debate unduly by systematic obstruction, thereby killing the bill. On 16 April, in an indescribable scene, Tupper withdrew it. For many, Laurier had come to represent moderation and conciliation in a troubled Canada, and although he had been more opportunistic than statesmanlike, leaving the minority leaders flabbergasted and believing they had been betrayed, he had won the last round but one before his final coronation. There remained the general election, called for 23 June. Even though he considered resigning as leader in order to strengthen the unity of the grass roots, Laurier made the most of his opportunity. Prime Minister Tupper waged an excellent campaign, but Laurier appeared the only one capable of solving the country’s social and economic problems and giving it a fresh start. 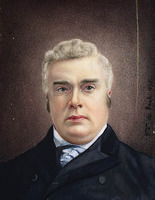 He had solid backing from three provincial premiers – Mowat of Ontario, Andrew George Blair* of New Brunswick, and William Stevens Fielding* of Nova Scotia – and support from Quebec, where, in spite of a number of troublesome bishops, both Liberals and some Conservatives who had been won over by his personality presented him as an idol. By attacking on all fronts and not committing himself to a clear-cut position on the Manitoba school question, the main but not the only issue in this historic election, he won a majority of 30 seats, even though the Conservatives received 46.1 per cent of the popular vote to the Liberals’ 45.1. He had gained a broad national mandate with a solid base in Quebec, which gave him 49 of his 118 mps. At the age of 54, Wilfrid Laurier became prime minister of Canada, the first French Canadian to hold this office since confederation. Laurier now had to shoulder his destiny. He would serve four successive terms as head of the government of Canada over a period of 15 years to fulfil it. His quarter-century of experience in active political life, in close contact with the country and with people such as Macdonald, whom he greatly admired as a master of politics and a leader of men, provided him with a grounding, as did his moderate liberalism. He exploited to the utmost the many, often contradictory aspects of his personality. With his exceptional charm and charisma, he could convince, captivate, and listen to each individual as at that moment the most important person in the world, or keep firm control of the members of his party. He also fell back on his habitual easygoing manner, both to gain respite from the fiery furnace he faced every day and to let time do its work. Skilful, opposed to taking rigid positions, and occasionally manipulative, he cultivated the art of ambiguity, of mental reservations, of blending into the surrounding air. In dealing with issues, he refused to worry about details, preferring to concentrate on the essential, guided by a pragmatism that accepted men and things as they were. Above all, he elevated compromise and quiet diplomacy almost to a dogma. Some regarded this penchant as a lack of conviction, an exaggerated nonchalance. In fact it was a strategy for achieving his purposes more readily in a dog-eat-dog environment. All in all, the man was a politician, but most of the time he was open, tolerant of opposing views, and conciliatory, except when there was a question of disloyalty. He never allowed a minister to thwart his plans. He could then become firm, abrupt, and willing to sacrifice his best men for the sake of his goals – cabinet solidarity and the integrity of his government, to which he clung tenaciously. For 15 years only one person held the reins of power in Ottawa. All the same, Laurier succeeded in winning the sincere friendship of his colleagues, of the party rank and file in general, and even of his opponents. Some saw him as a benevolent father, some as a disarmingly frank, close, and loyal friend, and still others as a noble soul. Almost all were impressed by the dignity of this great seigneur, this rallier of men. To keep the upper hand in his government and his party, Laurier never forgot one key factor: patronage. He put it to every conceivable use: to show gratitude to a friend, draw an opponent into his camp, or get rid of an unwanted member of his inner circle. He attended to every detail, even to assigning a post office to a village. 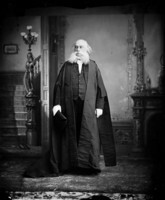 He played this role in Quebec especially, noting in 1899 that there he was “the first and the last judge.” With the English-speaking provinces, he usually signed documents after the decisions had been made by the regional ministers. In this way, little by little, Laurier shrewdly wove an effective network of reliable friends and loyal organizers. On another level, he took on the task of building alliances. He sought close links with leading capitalists and with Ontario, a problem province. He attempted to cajole influential members of the ultramontane clergy in Quebec, counting of course on the moderate bent of his liberalism but aware that his efforts in this direction risked antagonizing radical Liberals, who were perhaps more numerous than historians have indicated. He was careful in his choice of cabinet ministers, and in 1897 even dictated the appointments to be made by the Liberal premier of Quebec, Félix-Gabriel Marchand*. At the same time, he did his best to inspire Marchand to be conciliatory in his proposed school reforms. Despite the occasional serious clash, his actions gradually bore fruit, though people on both sides remained on their guard. The best proof of his success would be the good relations he enjoyed in the long run with Archbishop Paul Bruchési* of Montreal. In the province of Quebec also, Laurier shrewdly managed to gather under his protective wing the moderate Conservatives of the school of Sir George-Étienne Cartier*. The likes of Arthur Dansereau, Chapleau, and Joseph-Israël Tarte* were notable in this regard. The conquest of Conservative Quebec, at this stage, was due to Laurier more than anyone else. From the day of the election Laurier had resolutely set about the task of getting his vast country moving again, after the economic depression and cultural and religious conflicts which had badly shaken it. His first concern was to choose his cabinet. He took into account regions, ethnic groups, and religions; he showed sensitivity to the feelings of industrialists by keeping Sir Richard Cartwright, the leading spokesman of reciprocity, out of the finance ministry and calmed the fears of the clergy by leaving radical Rouges out of important positions; he flattered the moderate Quebec Conservatives by appointing one of them and drew on the administrative experience of three former provincial premiers in preference to colleagues of opposition days. As a result there were loud screams in the wings from the old guard, but between 13 and 20 July 1896 Laurier had put together a talented team of 11, including Mowat in the justice portfolio, Fielding in finance, Blair in railways and canals, Cartwright in trade and commerce, Tarte in public works, and Mulock as postmaster general. The first item on Laurier’s agenda was to settle the Manitoba school question. He at once shelved the inquiry that had been so often promised before 1896 and opted for negotiations with the Greenway government, to be conducted mainly by the highly credible Mowat. The ultimate objective was compromise or, in plain terms, to yield to the will of the stronger party and then hope to satisfy the weaker through minor adjustments. On 19 Nov. 1896 the Laurier-Greenway agreement, a veritable pact between victors, was made public. It confirmed that separate schools would not be re-established but provided for religious instruction in the schools between 3:30 and 4:00 p.m., if requested by the parents of 10 children in rural areas or 25 in urban ones. At least one Roman Catholic teacher was to be hired if the parents of 40 children in urban areas or 25 in rural ones so demanded. In schools where there were 10 children who spoke a language other than English, instruction could be given in English and in the mother tongue, according to the bilingual system. That was all. Gone were the minority rights written into two constitutions. Almost nothing had mattered except an “English” peace, to be preserved at all costs, and a narrow view of Canada, a country the majority wanted to have reflect its own image. 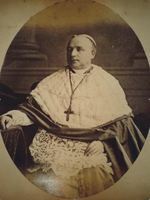 After a violent reaction from the Catholic hierarchy [see Adélard Langevin], there was a period of calm imposed by the encyclical Affari vos; it was issued following an inquiry conducted in Canada by Monsignor Rafael Merry del Val, the papal legate who had been sent at Laurier’s request to study the situation in Manitoba. He concluded that the Laurier-Greenway compromise was imperfect and inadequate, but that it must be accepted and improved over time by moderate means. Laurier had won. Never again would he allow the Manitoba question to come before parliament, although he occasionally tried to collect a few crumbs in concessions from Greenway. Laurier could boast of having restored national harmony, but at an enormous price. Whatever may have been said about it, this agreement stood as a dangerous precedent since it marked the emergence of an increasingly unicultural and English-speaking Canada, a truncated vision of the country foreseen by the Fathers of Confederation. The accord revealed as well the willingness of the federal government to abdicate its role as protector of minorities, to recognize the primacy of provincial rights over minority rights, and to bow to the weight of numbers. The Laurier administration also searched for harmony on tariff reform. After appropriate consultations Fielding unveiled its decision to the house on 22 April 1897. The main feature was the immediate institution of a two-level rate. The one already in effect was maintained for any country that imposed a protective duty against Canada; a preferential reduction of 12.5 per cent (which could be increased to 25 per cent the following year) was applied to any country admitting Canadian goods at a rate equivalent to the minimum Canadian charge. There was almost universal satisfaction. Though annoyed by the preferential principle, industrialists and protectionists could see that the National Policy was being maintained. Many advocates of free trade saw preference as a step in the right direction. And imperialists quickly realized that, for practical purposes, Great Britain with its free trade policy would gain the most from preference. All in all, it was a master-stroke that helped restore the confidence of Canadians, even though farmers, who benefited little from the change, were somewhat soured by the process. But Laurier and his team still needed a grand plan for material progress, one that could become the symbol of their optimism and be part of the economic recovery dawning in the western world. For Clifford Sifton*, the talented and effective minister of the interior, the answer was accelerated development of the agricultural west, which would finally give full meaning to the great economic vision of a confederation based on the east-west market. With Laurier’s agreement, Sifton took immediate and dramatic action. He reorganized his department, centralized decision-making in Ottawa, simplified regulations, and made land more accessible. Most important, he mounted a recruiting campaign of a kind not seen since confederation. Blacks, city folk, and a few other groups were excepted; everyone else was invited to come and build the west. (Immigration to Canada would reach 55,747 in 1901.) Among the new settlers were members of some minorities persecuted in their own countries, such as the Doukhobors and the Mennonites. A different region gradually came into being, more individualistic, competitive, and cosmopolitan than the rest. There were Canadians, of course, who worried about the lack of French-speaking immigrants, or the difficulty of integrating the new arrivals into Canadian life, or Sifton’s somewhat hasty methods. Along with this policy, the Laurier government introduced others aimed at developing communications and stimulating production. Some, such as the Crowsnest Pass agreement of 1897 [see Blair], were very important to farmers. Thus the government conveyed the impression that it had sparked what was considered a most promising Canadian reawakening. Internationally, matters were becoming more complex. External relations preoccupied Laurier more than any of his predecessors, often much against his own wishes. Here too, the Liberal leader hoped to show his country to advantage and to build it in security by gaining recognition for what it was becoming. The basic challenge for him was to establish Canada’s position in relation to Great Britain and to the United States, the powerful, overly aggressive neighbour that considered it a mere appendage to the mother country. The issues between Canada and the United States had to do with trade, fishing rights, and, most serious, the determination of the Alaska boundary. It had to be established who owned the posts at the end of the Lynn Canal and thereby controlled maritime access to the Yukon. In the winter of 1897–98 Laurier secured an agreement with President William McKinley to set up a joint Anglo-American commission that would study their outstanding differences. The negotiations ground to a painful halt on 20 Feb. 1899 because of the inflexible American stand on Alaska. In the face of this setback and the ensuing criticism, Laurier stood firm and let it be understood that Canada would make no more concessions to the major partners of the North Atlantic Triangle. It was a popular stand with Canadians, and one that had implications for the future. The situation with regard to the mother country was much more complex. Britain was trundling out a new imperialism centred on the incomparable virtues of the “Anglo-Saxon race” and its duty to convert as many peoples as possible to its brilliant civilization. The preservation of Britain’s security and of its supremacy over the United States and Germany was now all-important. With this object in mind, Colonial Secretary Joseph Chamberlain wanted to bring the colonies into his proposed imperial federation, a military, economic, and political structure. The plan split Canadians into two camps. Many English Canadians who considered themselves nationalists accepted this imperialism and believed that the imperial framework would be an engine driving the advance from the status of colony to that of fully sovereign nation. On the other hand, many French Canadians rejected imperialism because it could lead to involvement in foreign wars and to the sacrifice of the country’s interests. Laurier was reluctant to take a clear public stand on such a delicate matter, but two events would force his hand. The first was the celebration of Queen Victoria’s diamond jubilee in the summer of 1897, to which the colonial secretary attached a conference where the dominions and the mother country could discuss the role of the self-governing colonies within the empire. Laurier made his first visit to England, where he was showered with honours, honorary degrees, and medals, and on 22 June was even knighted. With Zoé at his side, he paraded in splendour through the streets of London immediately behind the queen and at the head of all the representatives of the dominions. At the beginning of his visit he often said what the imperialists wanted to hear. In London on 18 June, for instance, he stated, “If a day were ever to come when England was in danger, let the bugle sound, and . . . though we might not be able to do much, whatever we can do shall be done by the colonies to help her.” At the colonial conference, however, the wily Laurier held his ground on essential points, even drafting and winning approval for the very important resolution stating that the current political relationship between Great Britain and the colonies was acceptable. Hopes of an imperial federation vanished at this point, much to Chamberlain’s disappointment. In fact, there was nothing else Laurier could do, given the differences of opinion in Canada itself and his own views on imperial relations. He did not believe that such an all-encompassing federation was feasible. Above all, he knew he had to protect constitutional gains in anticipation of the day when a stronger and more united Canada could become independent. The second event nearly proved fatal to the prime minister. On 12 Oct. 1899 London declared war on the Boers in South Africa, and the delicate question of military aid to Britain arose. After various stormy consultations, Laurier, true to form, arrived at a policy based on a compromise that came close to the wishes of the English Canadian majority. 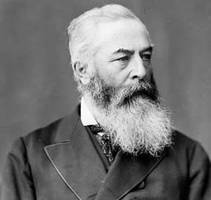 On 13 October, without convening parliament but after taking pains to emphasize that his action was not to be considered a precedent, he agreed to arm and send 1,000 Canadian volunteers to South Africa, where Britain was to assume full responsibility for their maintenance. There was great consternation on the part of many French Canadians; Liberal mp Henri Bourassa*, who resigned his seat in the commons on 18 October, argued it indeed was a precedent that reduced Canada to the status of a dependent colony. Laurier held firm against Bourassa and against the imperialists who accused him of not doing enough. His middle-of-the-road position had to do with staying in power, but in his view there were also other factors. He was certain that his nation was not giving up its status, he recognized the justice of the British cause, and he was conscious of the need to preserve national unity and accommodate the sentimental attachment of English Canadians to the mother country. He won in the end, but he realized that the South African War had introduced imperialism into Canadian politics. 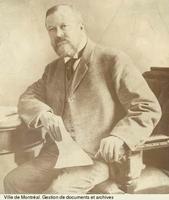 He also saw that Bourassa, re-elected in Labelle on 18 Jan. 1900, was only beginning to make a name for himself. Canadian voters ratified Laurier’s decision on 7 November by giving him a majority of 53 seats despite the disdain shown by Ontario, whose interests he had none the less served so well. Even Quebec overlooked his latest compromise, giving him 57 seats. At the outset of Laurier’s second term, political clarification was the order of the day. In imperial relations, he decided to remove ambiguities, keeping a close eye on his electoral base in Quebec where Bourassa’s impassioned speeches were stirring more and more unrest. At a colonial conference in the summer of 1902, he rejected proposals for an imperial council, the creation of an imperial navy, and commercial union. On 13 March 1903 he gave this clear summary of his views to the House of Commons: “The British empire is composed of a galaxy of free nations all owing the same allegiance to the same sovereign, but all owing paramount allegiance . . . to their respective peoples.” These words met with a rather cool reception from many imperialists, but Bourassa was overjoyed. He made peace with the prime minister, even though at the same time he became the mentor of the militant Ligue Nationaliste Canadienne, to which imperialism was anathema [see Olivar Asselin*]. There were clarifications in Canadian-American relations. This time Laurier pressed for an arrangement dealing exclusively with the Alaska boundary, which was to be settled by a judicial commission of six impartial jurists. However, the Americans, upheld by Great Britain, selected three men well known for their partiality in the case, while the choice of the British side, two Canadians and one Englishman, respected the spirit of the agreement. On 20 Oct. 1903 the commission by a majority including the British representative rejected the Canadian claims, and Canada was awarded only two islands at the mouth of the Portland Canal, on the southern boundary of Alaska. This decision immediately set off a wave of anti-American and even anti-British sentiment in the country, which Laurier, to conceal some mistakes of his own, temporarily encouraged. Canadians eventually calmed down, of course, but they did not forget. There was also a need to clarify his authority over his cabinet colleagues: specifically, he had to bring into line Joseph-Israël Tarte, his right-hand man in Quebec and the vaunted representative of the moderate Conservatives in the ministry. While Laurier was travelling in Europe in the summer of 1902, Tarte had campaigned publicly for stronger protectionism. This behaviour was a direct affront to the prime minister, and on his return to Canada in mid October he took swift and vigorous action. Despite Tarte’s importance in Quebec, he demanded his resignation. In this trying year Laurier was also afflicted with illness. He had come back from Europe exhausted, so broken in health that he was afraid he had cancer and so tormented by the fear of death that he considered resigning. In Ottawa, work went on in slow motion, much to the displeasure of the busiest ministers. But in November and December a trip to bask in the warmth of Florida gradually restored him to health, and in January 1903, in his usual easygoing way, he began working on a quite special series of immense projects. First, with Sifton as his indispensable coordinator, Laurier pursued the great challenge of developing the west, which would soon be the most dynamic element in the country’s economic growth. Canadians witnessed what has been called the wheat boom. With its ever-increasing population of immigrants, the west produced up to 80 per cent of the entire Canadian output of wheat, which was being exported in unprecedented quantities. This wheat-based economy attracted capital into the region, encouraging a degree of industrialization. Because of the need it created for manufactured goods of all kinds, it even accelerated the industrialization of eastern Canada. Naturally, criticisms resurfaced, keeping pace with the success of the endeavour. 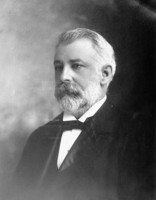 Thanks to the Conservatives under their new leader, Robert Laird Borden*, the work of parliament was interrupted by cries about shameless corruption, the difficulty of integrating newcomers into Canadian society, and the social problems connected with immigration. Even Bourassa, who had once been supportive, was increasingly concerned about the French Canadians’ relative loss of importance in confederation. Although there was some basis for these criticisms, most Canadians were too optimistic to be affected by them. This optimism would lead Laurier to design another gigantic project: the construction of a second transcontinental railway. An extravagant undertaking, it would elevate him for the moment to the rank of the Fathers of Confederation. The need for such a transcontinental line seemed urgent to many people, for the Canadian Pacific Railway was clearly showing its limitations. In the west, it could not transport everything produced by the farmers, while in the east it did not reach into northern Ontario or northern Quebec. Two companies in particular had shown an interest in building a new transcontinental line: the Canadian Northern Railway and the Grand Trunk. The former, headed by William Mackenzie* and Donald Mann*, had lines mainly in Manitoba and between Winnipeg and Port Arthur (Thunder Bay), Ont. The latter, headed in North America by Charles Melville Hays, had a network in the eastern part of the country. In 1903 Laurier personally took almost complete control of the huge project, as if he wanted to be associated with a specific venture in the way his sector-based ministers were. Although Blair was minister of railways and canals, he was pushed aside. Guided far more by his emotions and by the optimism sweeping the country than by economic realism, Laurier opted for a transcontinental line built entirely on Canadian territory by private enterprise. Unable to bring about an agreement between the two railways, he awarded the project to the Grand Trunk, in which he had more confidence. Left to its own devices, the Canadian Northern made plans for a transcontinental of its own. The Grand Trunk proved to be a difficult partner when the time came to discuss the general terms of the undertaking. Moreover, Laurier had to deal with all kinds of pressures, from every direction: his cabinet, itself divided on the subject; members of his caucus eager for a route guaranteeing their riding a station; and numerous pressure groups anxious not to miss out on this windfall. On 30 July 1903 the prime minister officially introduced in the house a catch-all bill calculated to satisfy everyone. The new transcontinental would be divided into two parts. The western section, from Winnipeg to the Pacific, would be built by the Grand Trunk Pacific Railway Company with financial assistance from the federal government, while the eastern, from Winnipeg to Moncton, N.B., would be built by the federal government and named the National Transcontinental Railway. On completion, the eastern section would be leased to the Grand Trunk Pacific. Laurier carried the day both in the house and in the country at large, despite the lack of realism in some aspects of the project. On 3 Nov. 1904 the voters returned him to office with a comfortable majority of 64 seats. It was his most decisive victory to date. At the height of his glory, Laurier wanted to enhance the reputation he enjoyed as the builder of modern Canada. He undertook to fulfil his most important promise of the day: to transform part of the North-West Territories into one or more autonomous provinces. The proposal threatened to touch off bitter debates. Frederick William Gordon Haultain*, the president of the territories’ Executive Council, wanted a single province covering the vast expanse of land between Manitoba and the Rockies, with provincial ownership of public lands and complete jurisdiction over education. Laurier favoured the creation of two provinces which, given the government’s desire to pursue its immigration policy, would receive generous financial compensation in lieu of ownership of public lands. Most important, he devised an education clause designed to give as much protection as possible to the separate schools of the Roman Catholic minority, who made up only one-seventh of the population. He wanted to go back to the federal statute of 1875, which granted Catholics the full right to separate schools and the necessary financial assistance. It was not his intention, then, to preserve the status quo created by the 1892 and 1901 ordinances of the territorial government, which had severely limited the possibility for separate schools even to exist. Laurier stubbornly persisted in seeking the whole loaf. This time he would ignore the lofty principle of protecting provincial rights and put the emphasis on article 93 of the British North America Act, which he interpreted as stipulating that separate schools were to be protected if they already existed in a province requesting admission into confederation. This position, as he knew only too well, would ruffle many feathers. The danger of confrontation was real. On this basis Laurier began negotiations on 5 Jan. 1905, and then manœuvred with Haultain, with Sifton, who was eager to maintain the status quo, and with his caucus, while at the same time scheming with those who shared his views to draft an article (which would become the famous article 16) in line with his intentions. On 21 February he suddenly presented everyone with a fait accompli by tabling his formal decisions in the house. 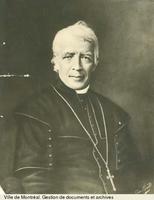 Haultain was disappointed; the Catholic minority and their leaders were overjoyed. Sifton, who believed the west should be Canadianized in the English Canadian way, with nondenominational schools, was so bitter he resigned and helped fan the flames of public protest in English-speaking Canada. The disconcerted Laurier was now forced to work with Sifton in redrafting article 16 to reflect his views. He lost the battle of the education clause. He had miscalculated. With his eyes firmly fixed on retaining power, the prime minister became once more the skilful politician he had been before. From 22 March and for nearly four long months, he retreated to the status quo, proposing only minor amendments which the minority leaders referred to as crumbs. Some were satisfied, but not Henri Bourassa, who finally broke with Laurier and began stirring up Quebec. Bourassa rightly considered that the episode of the western schools was the culmination of a series of ordeals endured by Catholic and French minorities outside Quebec. Even worse, the country had probably lost its last chance of finding the concrete means to become a truly bilingual and bicultural nation. In spite of Laurier’s spectacular coup in creating the provinces of Alberta and Saskatchewan, this setback foreshadowed the difficulty of consolidating the work he had accomplished since 1896, a task that would epitomize his third term. Indeed he and his Liberals now appeared less imaginative, and the cabinet, weakened by the departure of Tarte, Sifton, Mills, Sir Louis Henry Davies*, Blair, Charles Fitzpatrick*, and Mulock, fell into an attitude of complete docility towards an increasingly unenterprising leader, imprisoned in a 19th-century liberalism that progressive Liberals, less wedded to laissez-faire theory and less focused on the individual, were beginning to question. To make matters worse, though divided and weak, Borden and his Conservatives in 1906 undertook systematically to destroy this enfeebled cabinet. They waged a relentless campaign against the gross corruption of ministers and their departments, harping on the slogan, “wine, women, and influence peddling,” in a campaign that reached fever pitch in 1908. Laurier was not affected personally by the Tory offensive, but he did not let it go unanswered. He made two of his ministers resign, appointed commissions of inquiry that identified a number of irregularities, and put through remedial laws such as the one on the civil service and the one on elections, which cleaned up party financing. On the whole, however, his reaction seemed rather belated, even timid. The leader and his demoralized party saw their star fading because of this unpleasant situation which left many Canadians perplexed. They were still more perplexed in these years by the government’s failure to propose measures adequately taking into account the changes in society that had occurred. A new Canada had been built since 1896, more industrialized, more urban, and more diversified in its ethnic composition and in the values of various interest groups. For instance, the Lord’s Day Act, introduced in the house on 12 March 1906, did not satisfy the Lord’s Day Alliance, and aroused anxiety among French Canadians in the province of Quebec which was stirred up by the Nationaliste movement of Bourassa and La Vergne. The timid tariff reform presented to the commons on 29 November was a disappointment to both manufacturers and farmers. Measures such as the Industrial Disputes Investigation Bill, which was introduced on 17 December, had the long-term effect of antagonizing the working class. It made conciliation mandatory for employers and workers before any strike or lockout in public utilities or mines, but did not require the parties to accept the conciliators’ report. From the workers’ point of view, this process favoured the employers. Imbued with his own brand of liberalism and too much a product of his own rural background, Laurier kept the state in its role of arbiter in the employer-labour conflicts that would become more frequent in an industrial society and would not give it a more active part in labour relations. The prime minister’s failure to comprehend the demands of the new society was fraught with risks and even more with disappointments. The country continued to develop economically, however, during Laurier’s third term. Moreover, positive results in other areas, such as the federal-provincial conference of 1906 and the imperial conference of 1907, mitigated the difficulties of these strenuous years. But let there be no mistake. The empty slogan of the general election of 26 Oct. 1908, “Let Laurier finish his work,” in itself revealed the spirit of the times. Canadians gave it their approval with a majority of 50 seats, but they sent disturbing signals to Laurier. He lost 14 seats, his lead over the Conservatives in the vote was only 42,136, and outside Quebec he had a tiny majority of 7. The 66-year-old Laurier emerged from the election exhausted and ill. In mid November he gave serious thought to resigning in favour of Fielding but was persuaded to stay. Realizing that his future was inseparable from that of the country and the party he had contributed so much to shaping, he stayed on, although he confided to Ernest Pacaud’s wife, Marie-Louise, on 25 Dec. 1909: “I carry my advancing years lightly, but I no longer have the same zest for battle. I undertake today from a sense of duty, because I must, what used to be ‘the joy of strife.’” In spite of everything, he went back to work. 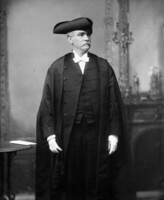 One feather in his cap was the creation in 1909 of the Conservation Commission to advise the government about avoiding the wasteful use of natural resources. Next he tried to mend a few fences with the working class. 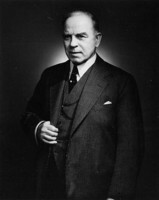 On 2 June 1909 he appointed a full-time minister of labour, the talented William Lyon Mackenzie King*, and a little later he acknowledged in the commons the increasing power of working people in Canadian society. However, his rather timid law on the investigation of combines, monopolies, and mergers, passed in 1910, and his lukewarm support for labour during major strikes, intensified the growing distrust that many workers felt for him. Two issues would contribute to the final destruction of Laurier’s political power. The first, the creation of a navy, brought imperial relations crashing back into Canadian politics. In the background was Britain’s visceral fear of losing her naval supremacy and, as a corollary, the deep and opposing emotions this apprehension aroused in both English and French Canadians. In the house on 29 March 1909 anglophone and francophone mps alike gave unanimous approval to a resolution calling for the establishment of Laurier’s long-promised naval service “in close relation to the imperial navy.” But Laurier’s attempt to translate it into a bill shattered the fine unanimity of a house divided between the imperial nationalism of English Canadians and the Canada-centred nationalism of French Canadians. His Naval Service Bill, introduced in the house on 12 Jan. 1910, did attempt to steer a middle course. It created, under the authority of the Canadian government, a navy of five cruisers and six destroyers which would be able to fight where Britain was involved in conflict. The force would consist entirely of volunteers and could also, in critical circumstances and with the approval of parliament, operate under imperial command. There was a fierce debate in the house. Borden, the spokesman for the imperialists, demanded that a subsidy be voted immediately to Britain so it could purchase two Dreadnoughts and that, when the time came, the people should be consulted on any permanent naval policy. 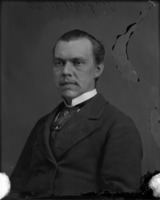 His colleague Frederick Debartzch Monk, with the support of the other French Canadian Conservative mps, distanced himself from Borden, rejecting the idea of an emergency contribution. Fearing the prospect of conscription and the enormous cost of this useless navy, he demanded an immediate plebiscite. Laurier’s reply did not convince either extreme, but with a united party behind him he won in the house on 20 April. He still had to parry attacks from outside parliament. They were vicious in English-speaking Canada, but in Quebec they became disastrous under Bourassa’s leadership. 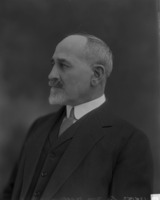 Bourassa, who had just begun publishing his daily Le Devoir, formed an alliance with Monk in the summer of 1910 and organized meeting after meeting to heap scorn on Laurier and his accursed navy. On 3 November the alliance even defeated Laurier’s candidate in a by-election in the Liberal stronghold of Drummond and Arthabaska. The prime minister suddenly realized that his hold on Quebec was slipping. Commercial reciprocity with the United States, which Laurier put back on his agenda after his triumphant visit to the west in the summer of 1910, was a still more disastrous policy, even though this time Laurier could count on the Americans since they had approached him on the subject the previous spring. Negotiations conducted by Fielding and William Paterson, the minister of customs, got under way on 5 November. Laurier sought an arrangement that would satisfy farmers without penalizing manufacturers. The Americans quickly understood the Canadian position. On 26 Jan. 1911 Fielding triumphantly announced to a stunned house the details of an agreement that would permit free trade between the two countries in most so-called natural products but only a small number of manufactured goods. 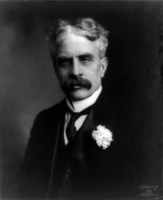 Borden’s crestfallen Conservatives were convinced they would languish in opposition for a long time to come. Laurier’s beautiful dream soon faded, however. A couple of weeks were enough to reinvigorate the Conservatives and arouse opposition outside parliament. In February financiers and manufacturers, along with a few Liberal mps, began a savage attack on the bill as destructive of Canadian prosperity and identity. They formed an alliance with the Conservatives and raised the spectre of annexation to the United States and disloyalty to the empire. Sifton, who was still an mp, and 18 Liberal businessmen and financiers in Toronto made a private pact with Borden to defeat Laurier. Thus strengthened, the Conservatives dragged out the debates in the house. Laurier disputed every one of the dangers enumerated, but he had been caught off balance and remained on the defensive. He committed the blunder of suspending the proceedings of the house from 19 May to 18 July in order to attend the coronation of King George V and the imperial conference in London, and he thereby enabled his opponents to consolidate their forces. On 29 July, unable to regain control of a turbulent house, the prime minister decided to ask for the dissolution of parliament. The election of 21 Sept. 1911 was a total disaster for Laurier. The two central issues – both major–were reciprocity and the navy, and they underpinned two concepts of the nation, one more continentalist and the other more closely linked to the British empire. Proud of his accomplishments in the previous 15 years, Laurier underestimated from the very outset the extent of his regime’s exhaustion. In addition to discontent in the Maritimes and among social classes to whom the country’s prosperity had brought too little benefit, he was hindered by the ossification of his cabinet and of his party, which was poorly organized in Ontario, and by his own inability to adapt his liberalism to the needs of a new society. Laurier undoubtedly had recognized these weaknesses, but he made no basic changes, as if he were too sure of his own power. 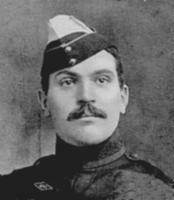 Because of the issues involved, he became the target for furious opponents whose accusations, informed by nationalist ideology, all began and ended with the word “traitor.” To Bourassa’s Nationalistes, joined in an outrageous alliance with Borden’s imperialists, he was a traitor to his country. To the imperialists and the foes of reciprocity, he was a traitor to Canada and the empire. The evening of 21 September saw the Liberals with only 87 seats to the Conservatives’ 134. The politics of compromise had had its day. Laurier at the age of 69 once more became leader of the opposition. Instead of quitting politics and going back to rest in Arthabaska as he had so often wished to do, he decided to stay on and play his full role to the limit of his strength. His aim was to drive out the Conservatives as quickly as possible, since their program, with its reformist and imperialistic tendencies, threatened to destroy what he had achieved. To the surprise of many, he immediately made a splendid start by redoubling his efforts, and he soon restored life to his party. He first revitalized its parliamentary wing, bringing defeated ministers back into either the house or the party’s councils. Then he provided a permanent structure to coordinate action and strengthen ties with party workers. In 1912, for example, he set up the Liberal information office under King, which published the Canadian Liberal Monthly. Although he made no basic changes to the 1911 program, partly to avoid reopening divisions within his caucus, he kept in regular touch with all the regional leaders. From 1912 to 1914 he held some 30 meetings and political banquets in Quebec and Ontario. But above all, he worked feverishly in the house, angrily baring his claws and relentlessly attacking Borden’s bills, even using the Liberal majority in the Senate to defeat them or amend them beyond recognition. The best example of this approach is undoubtedly the extremely bitter debate that began in December 1912 on Borden’s proposed emergency contribution of $35 million to Great Britain, which again felt threatened by the German naval program. In the name of Canadian autonomy Laurier waged a ruthless parliamentary battle for six long months, a battle that the Liberal senators brought to an end by defeating the Naval Aid Bill on 29 May 1913. Borden was weakened by all these attacks. He lost Monk from his cabinet and he lost the support of Bourassa’s Nationalistes. Although he suffered a few reverses, Laurier saw an increase in his own popularity and that of his party. Once again the golden stairway to power appeared on the horizon. World War I soon crushed these fine hopes and shattered the two most important foundation-stones of Laurier’s career: national unity and the unity of the Liberal party. From 1914 to 1918 he lived through the worst ordeals of his life. At the outset of this terrible war there was no hint of such results. Throughout the country English-and French-speaking Canadians alike, under stress and in a highly emotional state, agreed on almost everything, from voluntary service in the armed forces to the dispatch of material assistance to embattled Britain. In tune with his fellow Canadians, Laurier renounced partisan politics and even proposed a truce between the parties. 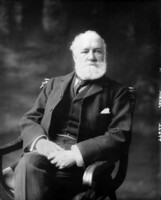 He loyally supported Borden in the commons and participated in a series of recruiting meetings to stimulate the war effort. People rallied around their leaders, one of whom, the 72-year-old Laurier, displayed a sense of duty and a boundless energy that were a constant source of astonishment. In just three years these fine sentiments were transmuted into tragedy. As the war dragged on, with its enormous demand for human and material resources and with voluntary recruitment declining, Borden imposed military conscription in the summer of 1917. This decision went against the country’s military and political traditions and broke the promises previously made by politicians. Some workers and farmers, and the vast majority of French Canadians, were stunned. Entrenched in their traditional way of thinking and swayed by the stinging speeches of Bourassa’s Nationalistes, French Canadians vigorously demonstrated their opposition. 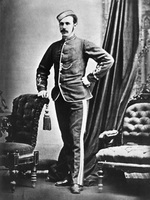 Borden held his ground, sustained by his principles, the necessities of war, and the repeated calls to stand fast from numerous English-speaking Canadians, both Liberal and Conservative. Believing that Canada was fighting as a nation and that the war would put the country on the world map, inspired by the ideology of service, filled with notions of honour, and, in some cases, with progressive social thinking, many English-speaking Canadians saw themselves as engaged in a moral crusade that had to be supported by all-out effort. They never understood the French Canadians, whom they wrongly characterized as traitors to the nation. In 1917 cultural and partisan differences reached new heights in Canada. Laurier was utterly opposed to conscription. Because of his principled liberal resistance to coercion of any kind, his past promises, and the inevitable divisions conscription would create, he rejected it unless it was approved by the Canada-wide referendum for which he called. He explained his decision to the house on 18 June 1917, but to no avail. His choice immediately drew almost all the francophones to his side, but it cut him off dramatically from the majority of anglophones, including the English Canadian parliamentary wing of his party. All but seven of his English-speaking mps abandoned him, demonstrating even more pointedly than they had done in the thorny Ontario school question [see Philippe Landry] their disapproval of his support for the French Canadian minority. Like the country itself, the Liberal party was now split on the issue of conscription. Laurier was heartsick. On 24 July in the house he pathetically poured out his distress at the collapse of his political raison d’être. But that was not all. Still to come was the formation of a coalition whose main objective would be the enforcement of conscription. The Liberal leader again declined to cooperate in this arrangement. He had already flatly rejected it on 6 June when Borden had made him a specific offer. 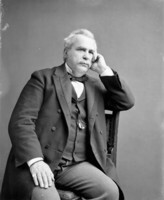 Despite Laurier’s heroic efforts to repair his party and offset the effects of two congresses organized in Toronto and Winnipeg by Liberals who favoured a coalition, Borden on 12 October triumphantly presented his Union government, which included nine Liberals. The Liberal party of Canada disintegrated. From that time also dates the quasi-isolation of Quebec, which was becoming increasingly desperate, wrongly believing itself the sole target of the actions being taken. In the autumn of 1917 Laurier again, and more fully, plumbed the failure of his political career. The disaster was confirmed by the election of 17 Dec. 1917. Had the vote been held a year earlier, Laurier would have had a chance of winning, but not in 1917. 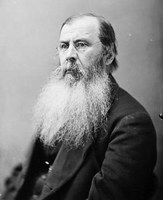 By now, conscription had broken up his team and Borden, already well supplied with funds and supporters, had enacted legislation disenfranchising many immigrants from enemy countries, giving the vote to female relatives of enlisted soldiers, and allowing the soldiers’ vote to be shamelessly manipulated. Aged 76 and broken in both body and spirit, Laurier fought his hardest, presenting himself as a saviour in a Quebec fervently united behind him, and in English-speaking Canada as a leader abandoned by his friends, a victim of general misunderstanding and condemnation. How often the word “traitor” sounded harshly in his ears or brought tears to his eyes! He endured a time of indescribable tension, undisguised hatred, and virtual electoral robbery. With 82 seats to Borden’s 153, Laurier was crushed, winning only 20 seats and 34.6 per cent of the popular vote outside Quebec. The old man felt the end coming. With a final burst of energy, he harnessed himself once more to his party in order to rebuild it. He issued one directive: forget the past. Certain that the Union government would be defeated before long, he made a discreet and friendly approach to influential Liberals who had gone over to Borden. Almost paternally, he advised William Lyon Mackenzie King to stay close to Ottawa. Even though weakened by illness from the summer of 1918, he resumed his correspondence with regional leaders. The armistice of 11 November restored his enthusiasm. He began to set in motion a great congress that would define the structures and program of his party, the better to reunify it. Would it also choose a new leader? No one knew for sure, because Laurier continued to be evasive on the subject. On 14 Jan. 1919 he issued a public invitation to the Unionist Liberals to return to the fold. He was in the midst of a promising reconstruction of his party when on 16 February he was suddenly struck down by a cerebral haemorrhage and paralysis. To the tearful Zoé he said simply, “This is the end.” The next afternoon death opened wide for him the doors to the history of his country. Following a magnificent state funeral on 22 February, Sir Wilfrid Laurier’s body was escorted to Notre-Dame cemetery in Ottawa by more than 100,000 people. Whatever reservations they had about the man’s achievements, on that day the vast majority of Canadians knew that a significant chapter of history had come to an end, taking with it a part of their souls. The entire country was in mourning. Despite disappointments and often justified criticisms, Laurier was already a legend; he had gradually achieved the stature of a giant, a symbol personified. And what an engaging personality! Few people at the turn of the century could resist his charm and courtesy. When necessary, Laurier was able to abandon his prime ministerial ways for a simplicity that won over the most obdurate hearts. His disarming frankness despite his subterfuges, his exceptional honesty in a rather lax environment, his respect for others regardless of differences of opinion, his unshakeable loyalty to the Liberal cause and to his friends, his determination and firmness despite moments of discouragement and the limits already mentioned, all aroused the admiration of many Canadians. Even his opponents were captivated. To be sure, his personality also drew less favourable comments. It was said, for instance, that Laurier was so full of contradictions that he resembled Machiavelli as well as Sir Galahad; that he often wore a mask and played a game, feigning both joy and sadness; that he set his sights on immediate successes with no concern for long-term results; that he was incapable of taking great risks. Laurier indeed was not of a piece. He did not see things in black and white, and no doubt he had developed a personality that enabled him to face the complexity and harshness of his milieu at any time. He was nevertheless a man of honour, generous, enamoured of liberty, and able to confer nobility on the causes he supported. A humanist, he found arrogance, bigotry, and intolerance repugnant. Lord Minto [Elliot] once said of him that he was “far the biggest man in Canada.” He was right. And this was the portrait of Sir Wilfrid Laurier that in the end has remained in the collective memory. [The principal source for Laurier’s life is his substantial correspondence in NA, MG 26, G. Although some of his papers were burned or otherwise destroyed, those that remain contain a wealth of detail concerning his private, professional, and political life. Numerous other archival materials were of great use, including the Edward Blake papers at AO, F2 (available on microfilm at NA, MG 27, I, D2), and the following collections at the NA: R. L. Borden (MG 26, H), Henri Bourassa (MG 27, II, El), J.-A. Chapleau (MG 27, I, C3), Charles Fitzpatrick (MG 27, II, C1), Lomer Gouin (MG 27, III, B4), W. L. M. King (MG 26, J), Ernest Lapointe (MG 27, III, B10), Armand La Vergne (MG 27, II, E12), Mme Joseph Lavergne [Émilie Barthe] (MG 27, I, I42), Rodolphe Lemieux (MG 27, II, D10), J. A. Macdonald (MG 26, A), Alexander Mackenzie (MG 26, B), Arthur Meighen (MG 26, I), Honoré Mercier (MG 27, I, F1), Lord Minto (MG 27, II, B1), F. D. Monk (MG 27, II, D10A), Clifford Sifton (MG 27, II, D15), J.-I. Tarte (MG 27, II, D16), J. S. D. Thompson (MG 26, D), Charles Tupper (MG 26, F), and J. S. Willison (MG 30, D29). There is also valuable information in the papers of the Langevin family (P-134), Armand La Vergne (P-487), and the Institut Canadien de Montréal (M14) at the ANQ-Q. Information is abundant in printed sources as well. Laurier’s major speeches and particulars of the incidents and circumstances that marked his political life can be found in the Debates and Journals of the Quebec Legislative Assembly, the Debates of the House of Commons and Senate, the Canadian census returns, and the electoral returns for the Quebec Legislative Assembly and the House of Commons. Some of Laurier’s best speeches appear in the following collections: Wilfrid Laurier à la tribune . . . 1871–1890, Ulric Barthe, compil. (Québec, 1890); Discours à l’étranger et au Canada (Montréal, 1909); and Discours de sir Wilfrid Laurier, Alfred D[uclos] De Celles, édit. (2v., Montréal, 1920), 1: de 1889 à 1911; 2: de 1911 à 1919. A number of newspapers for the period 1859–1919 supplied complementary detail concerning specific matters. Finally, an examination of the memoirs of politicians and others in Laurier’s circle shed light on his public and private life. Réal Bélanger, “LAURIER, Sir WILFRID (baptized Henry-Charles-Wilfrid),” in Dictionary of Canadian Biography, vol. 14, University of Toronto/Université Laval, 2003–, accessed April 22, 2019, http://www.biographi.ca/en/bio/laurier_wilfrid_14E.html.